Mars is the new hype of this century. Ever since we went to the Moon and established ourselves within a permanent space station settlement, our brightest minds have joined with our biggest dreamers in imagining what comes next. And not just scientist, astronomers and astronauts, the entertainment industry also have had their fair share of Mars themed movies and books. And the past couple of years we also have seen a few games about Mars come out, but none of them really had the success of the Martian when it comes to books or movies. 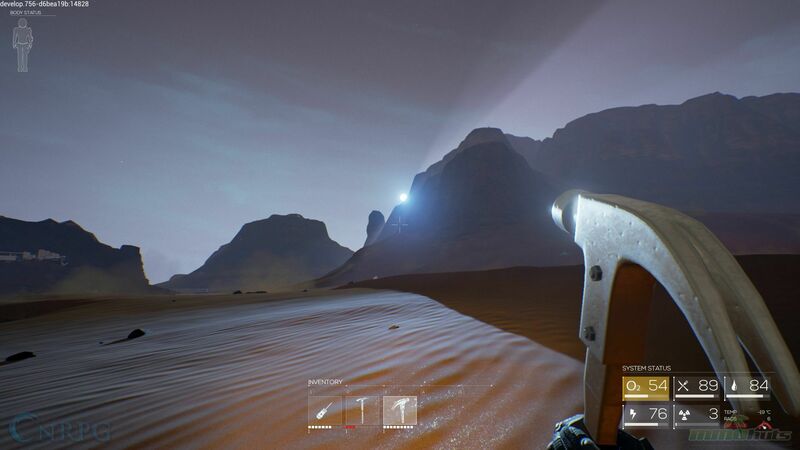 Rokh is another game that lets you play around in the cold sand of the red moon. Will they leave their mark in the soil, or leave nothing but footprints for the ones to follow? 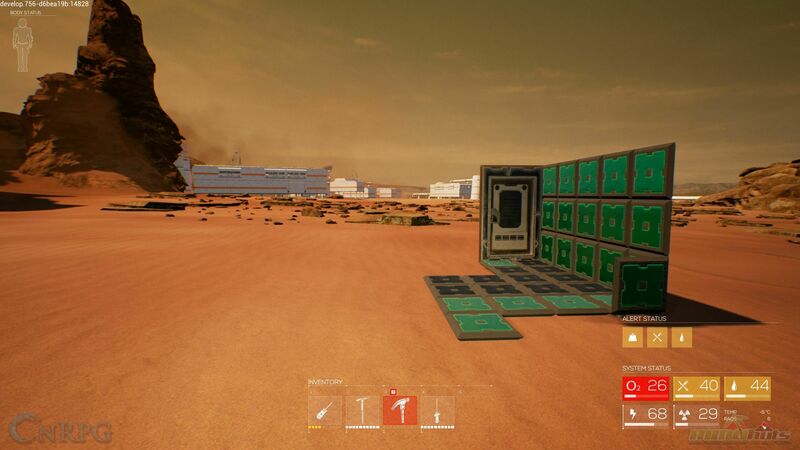 Sandbox games about Mars really take the Sandbox part serious, because well frankly Mars is just a big sand box with nothing of value left. The only interesting reason we want to go there is to find some sign of life, just to know that we’re not alone. Oh and perhaps to continue the life of mankind in case of something catastrophic on Earth, but that isn’t really feasible yet. Thus the imagination runs wild as we have multiple takes on what the life on Mars might look like. Rokh throws you onto the planet that was once lived on by scientists. Since then it’s been deserted and only the structural habitats can be found scattered throughout the world. As that’s all we can really do with our current scientific development, games have to take a somewhat unrealistic approach to keep players around, but how does Rokh plan to keep people around? When you first start playing you are given the choice of where exactly you want to land on the map. On the map you can find a grid with safe locations to land, and some locations you might want to look out for as they’re likely more dangerous and loaded with more valuable goodies. Near every structure or habitat, you can find boxes that have been sent to the planet to ensure the survival of you and the others who are playing on the server. As of right now the game does not have a singleplayer mode, and you have to connect on a multiplayer server that as of now, doesn’t really have a lot of room yet. 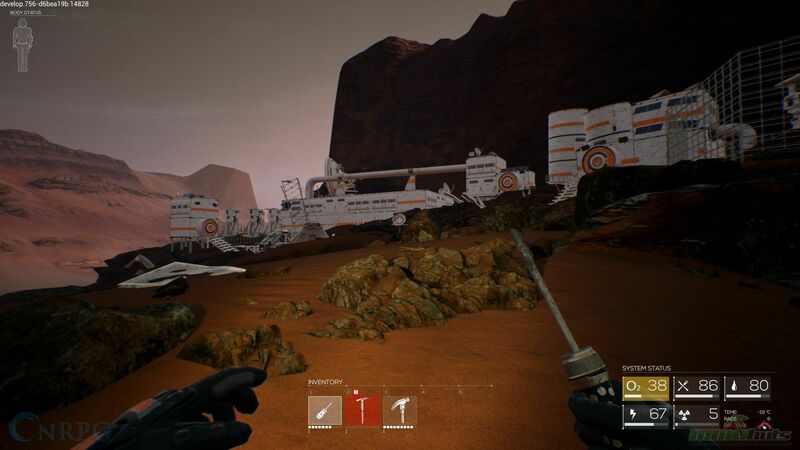 Rokh is essentially a survival game, implemented in a sandbox environment with a lot of things to play around with. But unfortunately it all still feels very bare boned. Everywhere on the surface of Mars, you will be able to find the elements that are essential for your survival. Piles of mineral looking elements are scattered like they were placed there by a god standing over a chess board. And it doesn’t really look natural in the sense that actual ore can be found in the side of a mountain, or in a pile of rocks. From a realistic perspective this fails to come through as a serious approach to get the player more immersed, and instead it feels more like you are playing modded Minecraft. 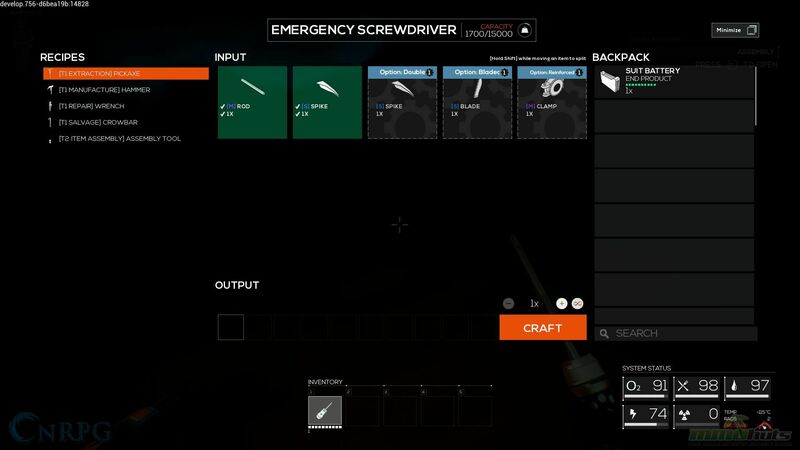 Tools have to be made to gather or craft anything, and your tool belt is completely full in only ten minutes of playing, making the whole crafting and building gameplay more bothersome and time consuming than it honestly needs to be. 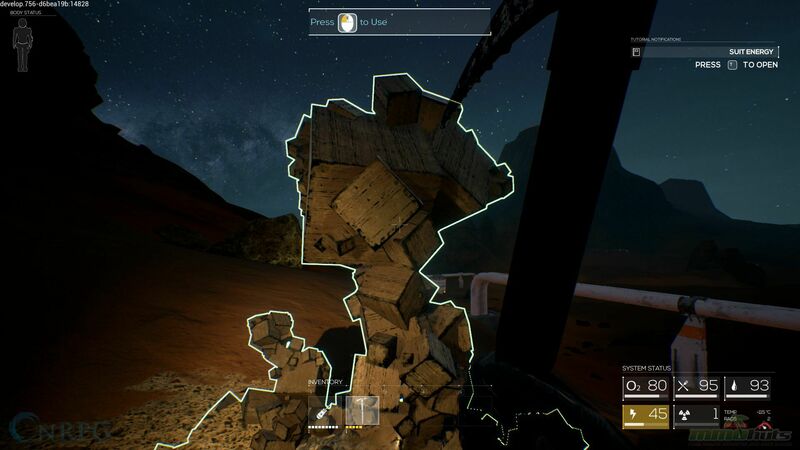 Although there aren’t a lot of bugs and gameplay hindering problems in Rokh, which is a solid sign for an early access, the current state of crafting is cumbersome and some things don’t always work as they should. When you have found enough water, O2 and food, you are set for a few hours and are left to gather the rest of the elements. These come in different forms and colors, but as of now I haven’t yet found a reason why exactly these elements are different than the others except for the name and the color block they produce when you make something out of them. 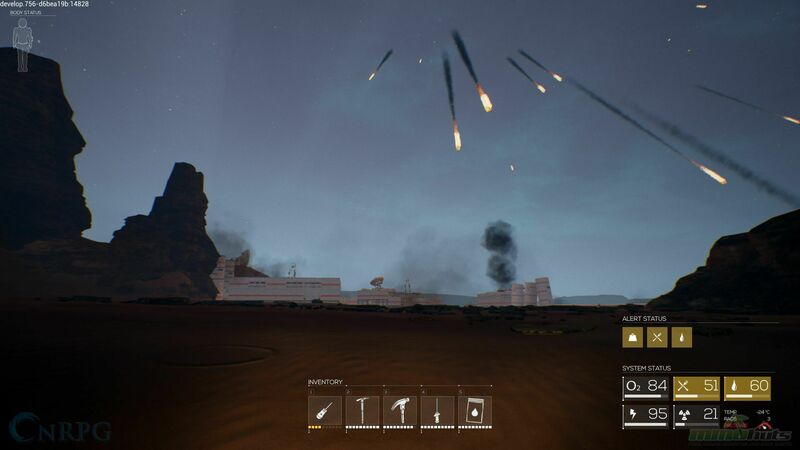 From time to time the game likes to throw big meteorites from space towards you, and every so often you are caught unprepared in the barrage that lasts for a few minutes. A nice detail at first, but after a while it really breaks both the immersion and the fun out of it. 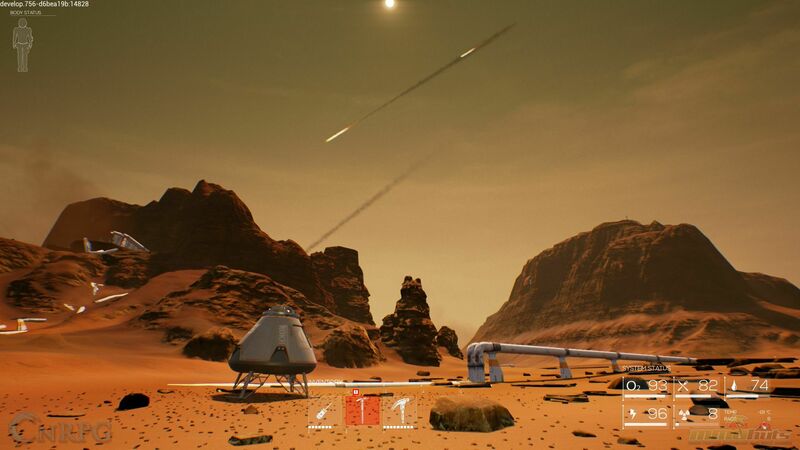 In reality it wouldn’t be as dangerous having a stroll on Mars like in Rokh, and it did get me a bit annoyed at times since during my first playthrough that lasted several hours, it almost happened as frequent as every ten minutes. Perhaps the Earth has exploded and has scattered its remains in the orbital path of Mars; how ironic would that be? Anyhow it is also the only actual danger I have yet to face in Rokh, the issue of both Hunger and Thirst is simply solved by looking around for the boxes that can be seen from far away, and thus isn’t really a real threat as of yet. When playing Rokh it does feel like you are Mark Watney in the Martian, trying to survive with the elements that you are given. Except no one is coming for you, or even looking for you rather. You are just playing with sand in this huge sand pit while nothing really happens. The crafting is very basic, the building depth does look very deep, but it really all comes down to hacking away the ores that have been plopped down everywhere, and making something useful out of them. But besides that, there isn’t really anything to fear, or work towards. All you do is make your own habitat and try to live from that. While graphically the game doesn’t look all too great, I wouldn’t say it looks bad either. Rokh perhaps has the best mix of good looking textures, but placing a filter of it that makes you think you are actually on Mars. And this is exactly how the gameplay feels as well. It’s not great, it’s not too simple either, but there isn’t all too much to it. After several hours of playing I really asked myself one question, “Is this it?” And it seems like it really is. The game is still in early access so anything can happen, I’m sure the few bugs I did encounter will eventually get taken out, but the game in its current state really lacks the longevity of playing more. My first playthrough was fun, but it got boring rather quickly and does give me the impression that in its current state I have seen it all. There needs to be more challenges than the rain of meteorites that becomes just an annoyance rather than a challenge to overcome. Because without it, the player doesn’t really have too much of a goal. While the game does look like a dull blade, it can definitely be sharpened and look pretty on the wall. Much like building your Martian Habitat in-game, Rokh has a long grind ahead of it to become an engaging sandbox adventure.